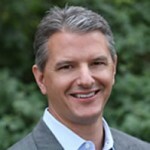 Jeff Pintar is the founder and president of Port Street, whose direction and vision for the organization, along with over 22 years of experience on the broker, client and investor sides of real estate have enabled him to successfully grow the firm into the industry leader it is today. Throughout his career, Pintar has developed and delivered over 40 million square feet of new commercial projects valued in excess of $5 billion, and has been one of the nation’s leading revenue producers for CB Richard Ellis. Pintar enjoys witnessing the growth and success of both clients and the Port Street staff, while overseeing both cultural and operational aspects of Port Street to include driving execution of existing assignments, increasing morale in the workplace, stretching team performance thresholds, and remaining at the forefront of innovative business practices. ABOUT PORT STREET: Port Street is a residential real estate operator and advisor blending industry expertise with ongoing data collection to boost clients’ efficiency, productivity and return on investment. Through its advisory-management approach, Port Street’s industry-leading model provides a platform for its four asset management service areas: brokerage, strategic advisory, renovation and property management. Founded in 2011 and headquartered in San Juan Capistrano, California, Port Street is a category leader with national operations throughout California, Las Vegas, Georgia and Florida. For more information, visit www.portstreet.com. 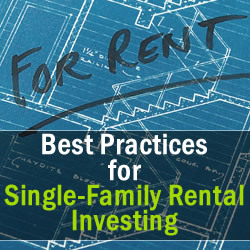 This is some really good information about family rental homes. My sister is thinking about renting a home. So, I liked that you pointed out that you do your research before picking a home.